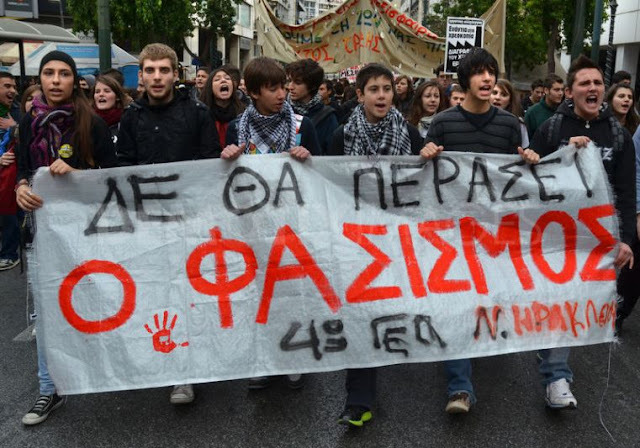 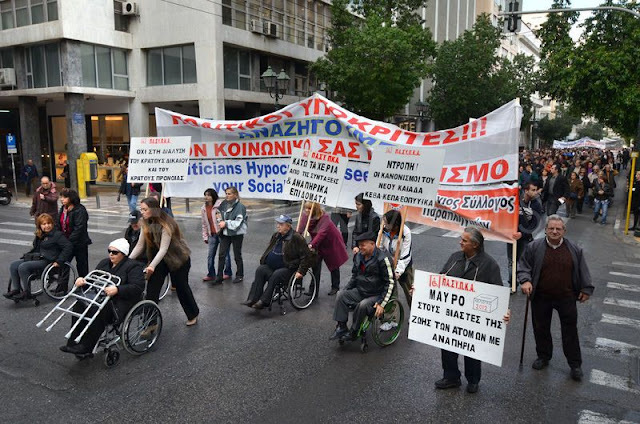 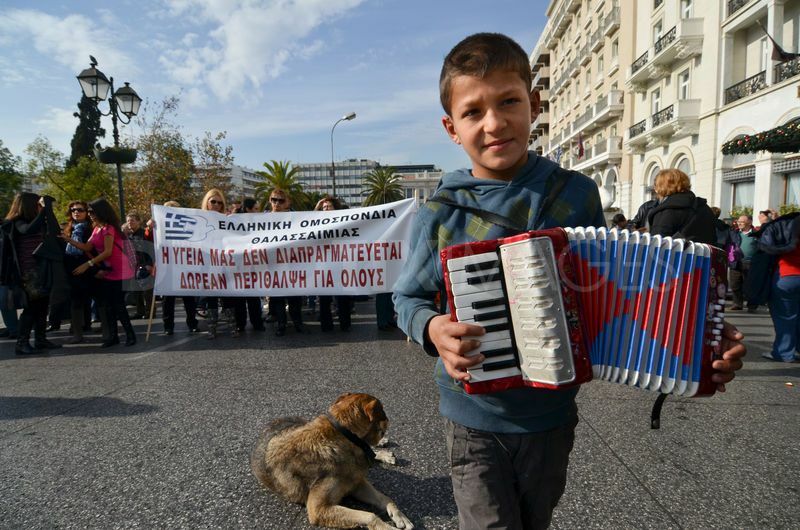 A student demonstration is held in commemoration of the assassination of Alexis Grigoropoulos, a 15-years-old student who was killed by a Police officer on December 6th, 2008. 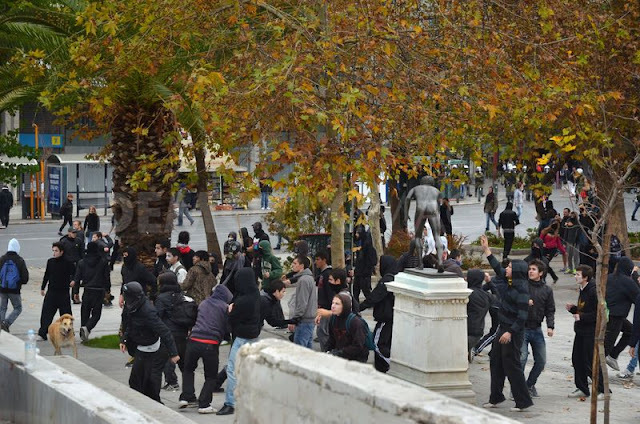 6th December 2011. A Molotov bomb in Syntagma Square hits riot police. 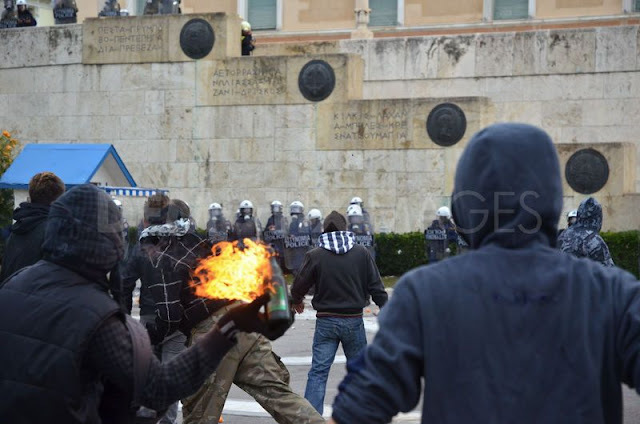 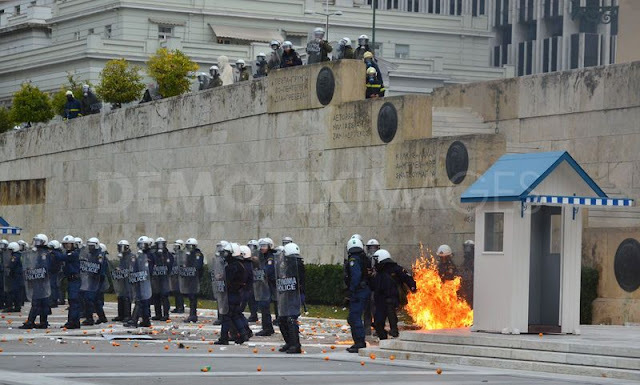 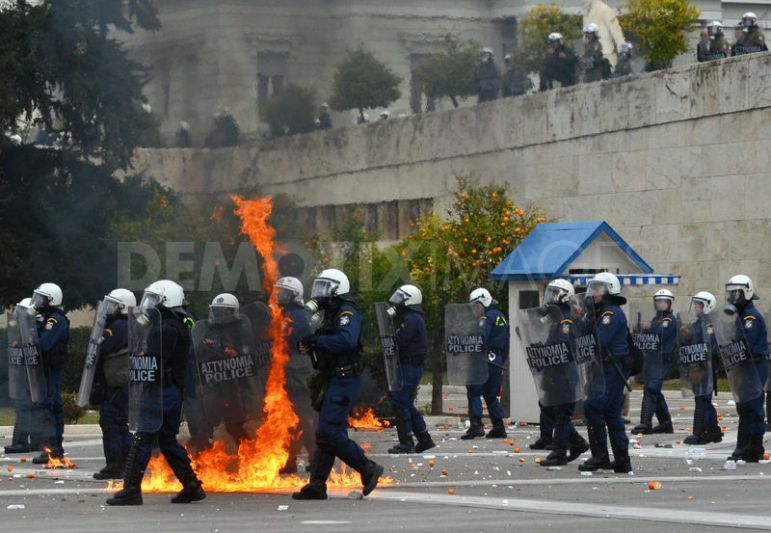 Protesters throw a Molotov bomb at the police in Syntagma Square. Riots between anarchists and riot police. 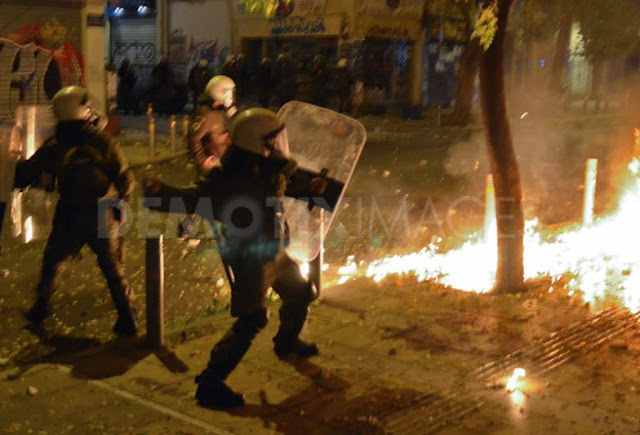 Riot Police attacks to the anarchists. 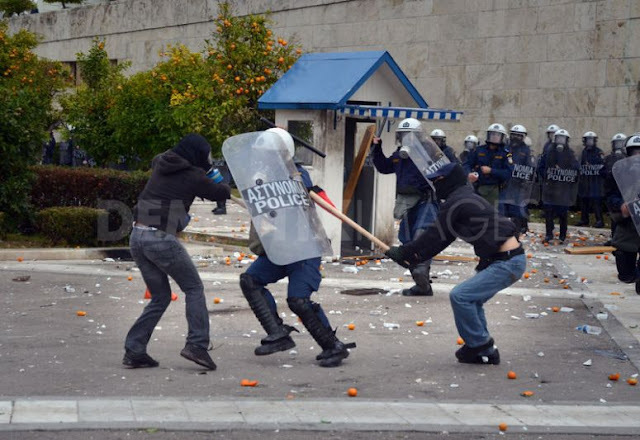 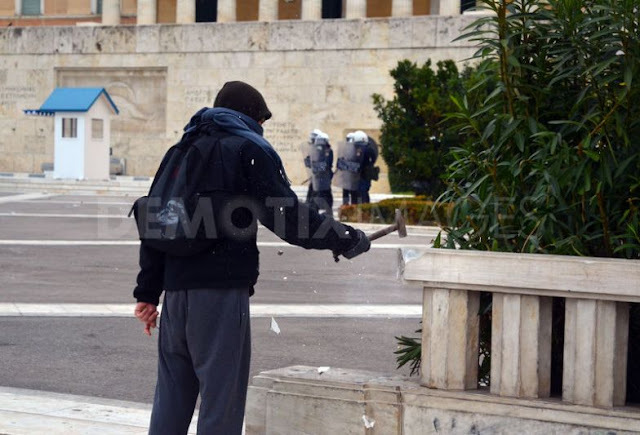 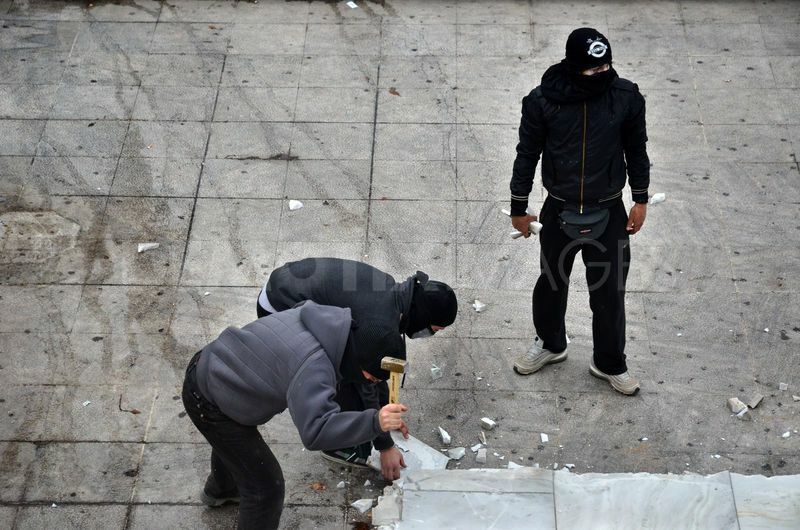 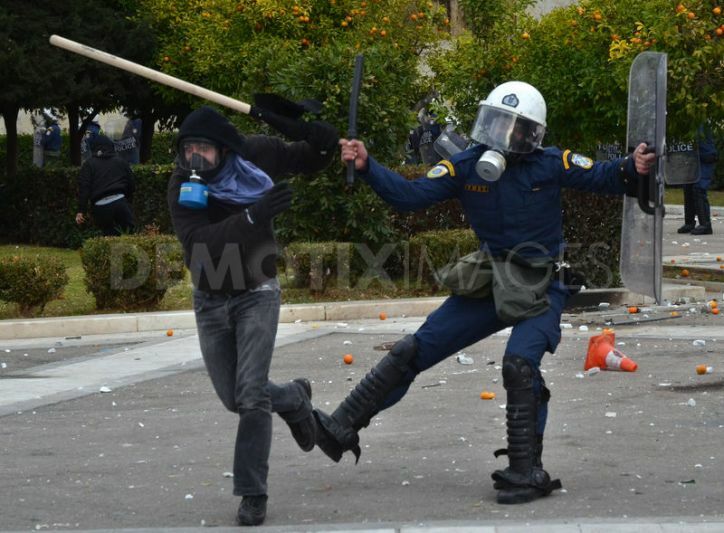 Protester breaks marbles with a hammer to throw stones at the riot police in Syntagma Square. 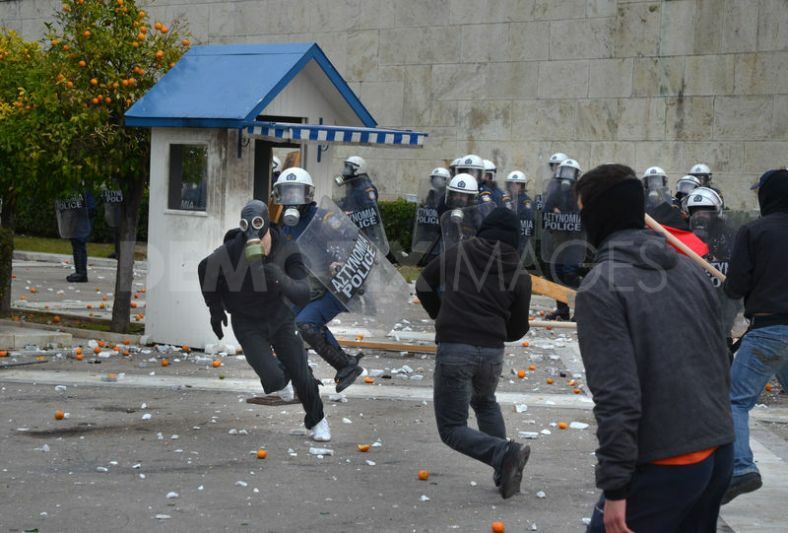 Riot Police attack the anarchists. Students march in Stadiou Street. Banner reads: no pasaran Fascism. 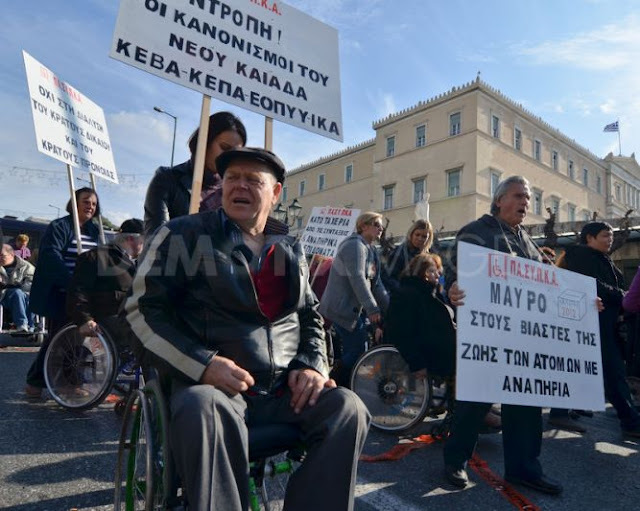 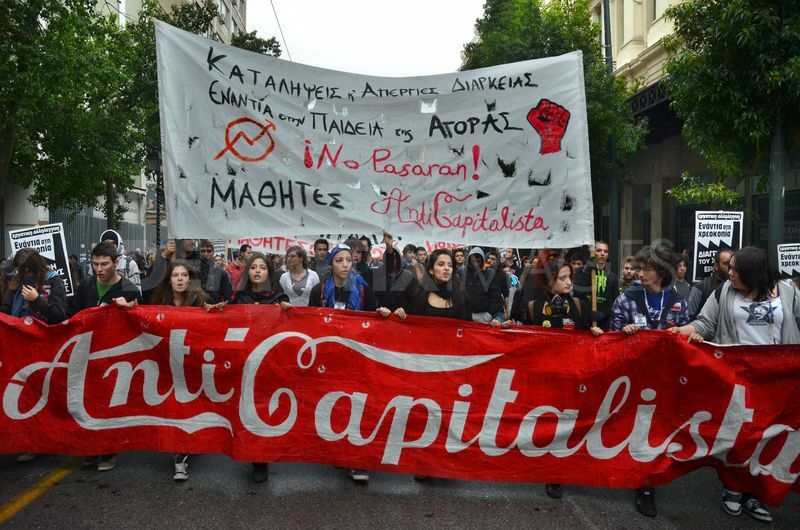 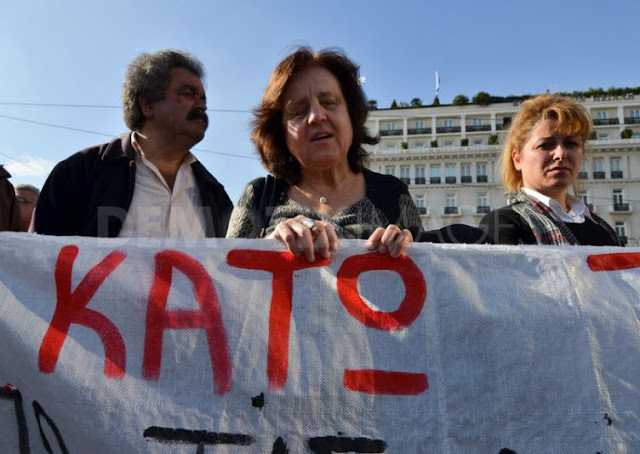 Anticapitalista students march in Stadiou Street. 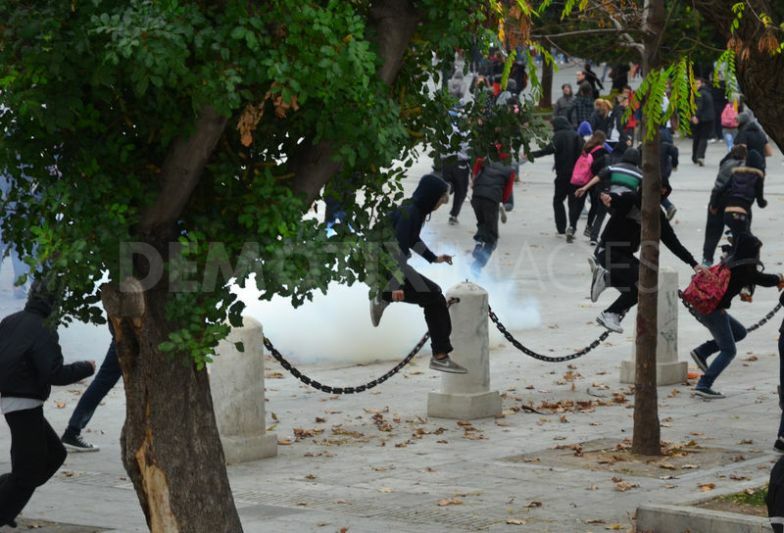 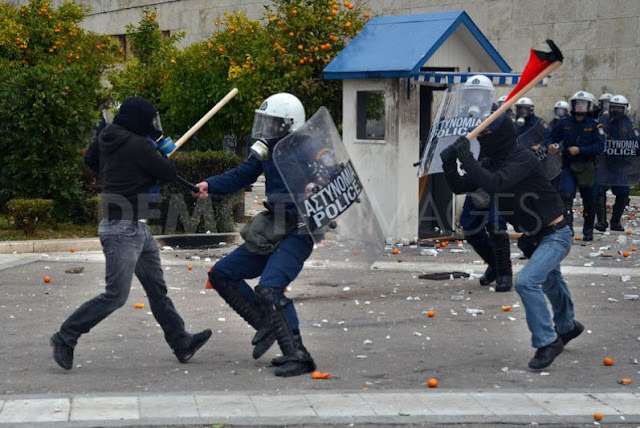 Anarchist protester throws stone at the riot police in Syntagma Square. 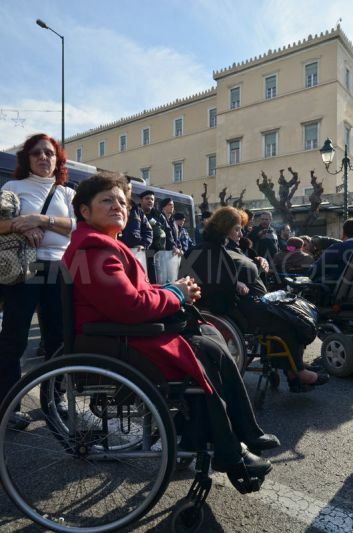 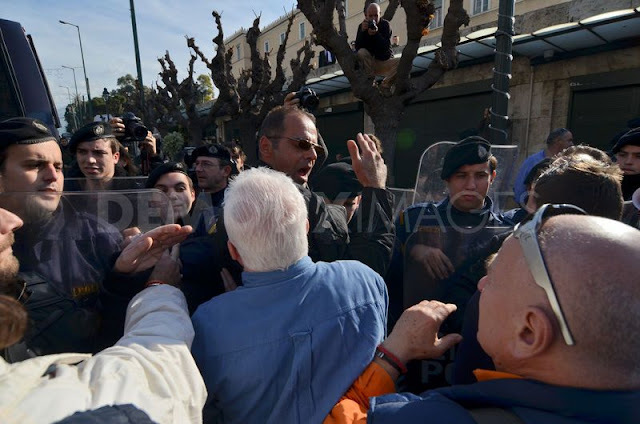 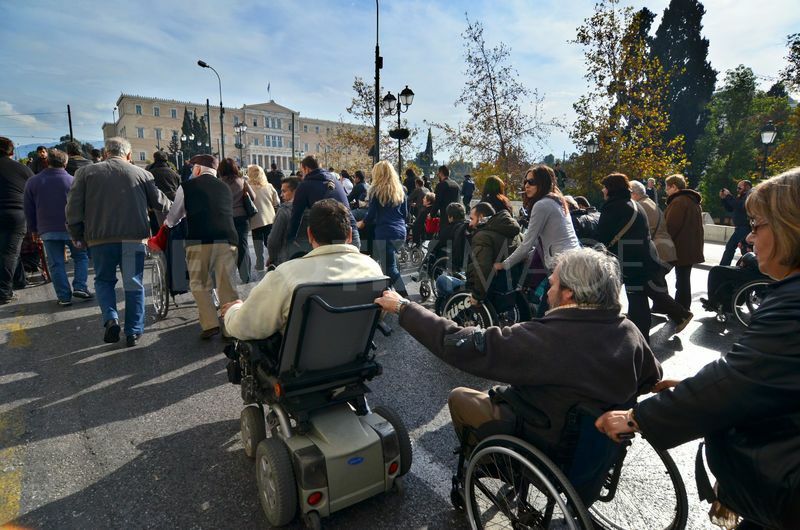 Protesters attack to riot police in Syntagma Square. 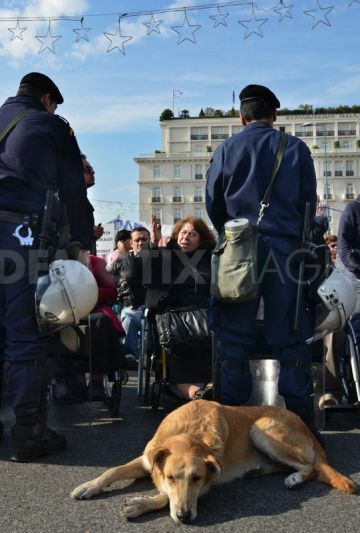 The iconic dog can be seen. Protesters attack to riot police in Syntagma Square. 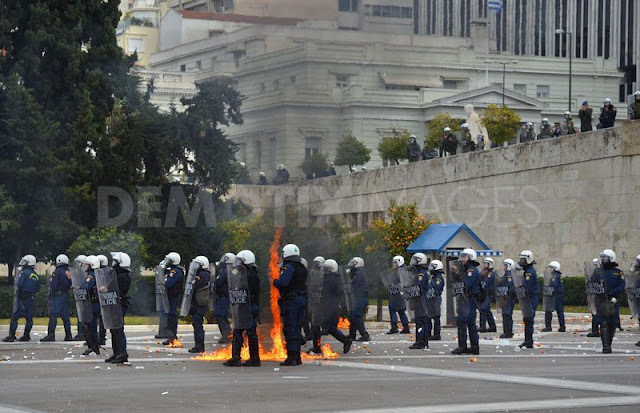 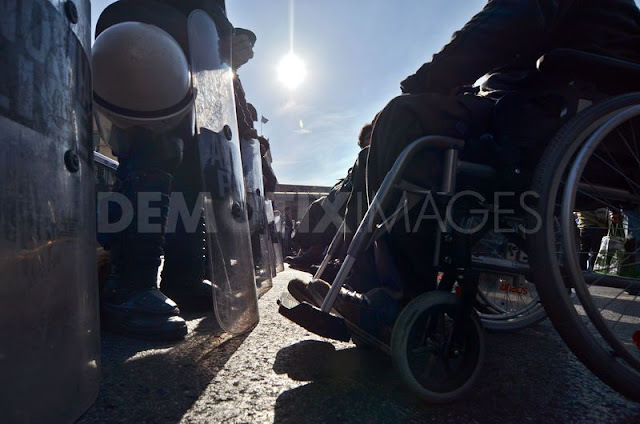 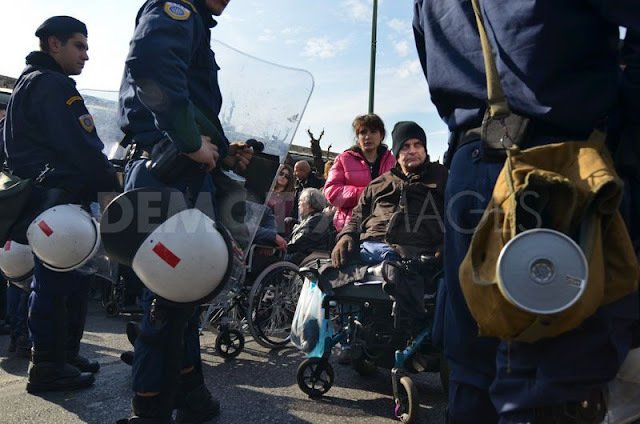 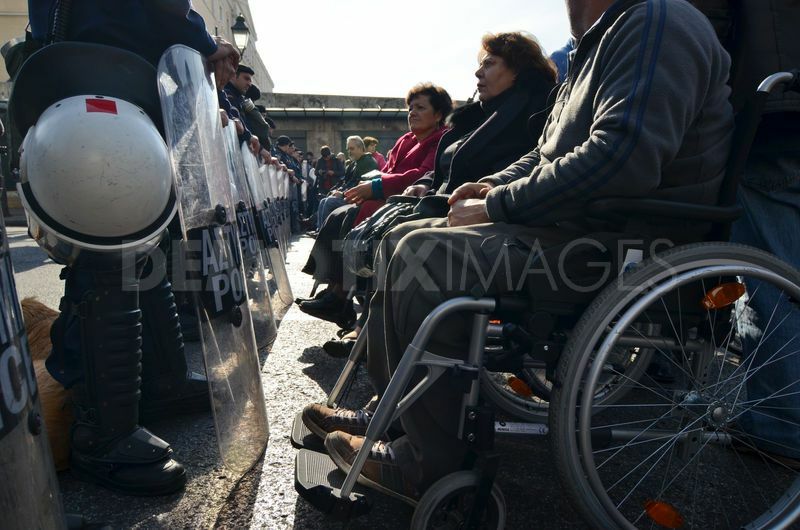 Riot police attacks to the group of Protesters in Syntagma Square. 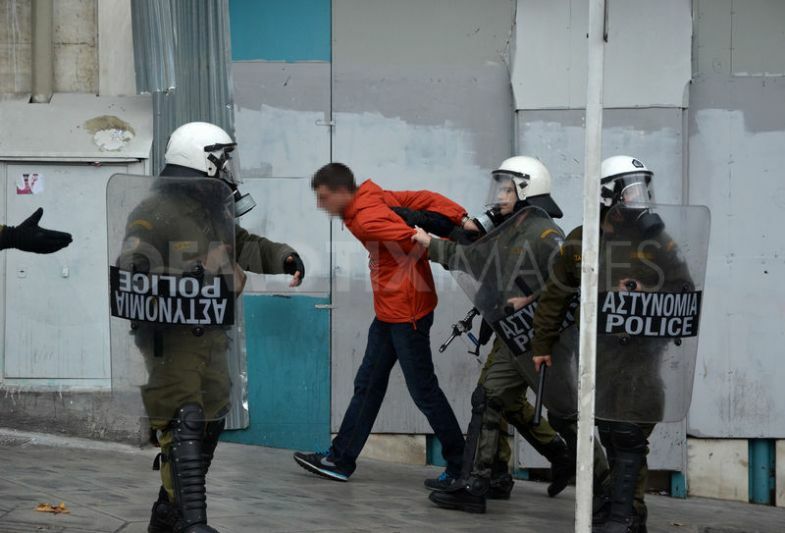 Riot Police arrests protesters in Syntagma Square. Windows of a building in Panepistimiou Street, Propylaea, Academic University area after they have been broken by anarchists. 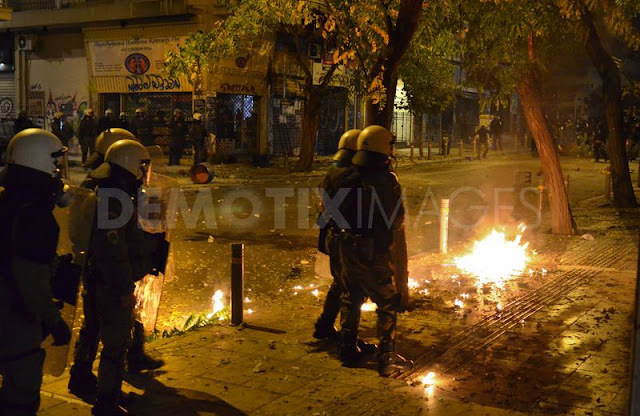 Riot Police attacked with Molotov cocktail by a group of young people in Exarcheia and react with chemical grenade (Stournari Street). Riot Police attacked with Molotov cocktail by a group of young people in Exarcheia (Stournari Street). 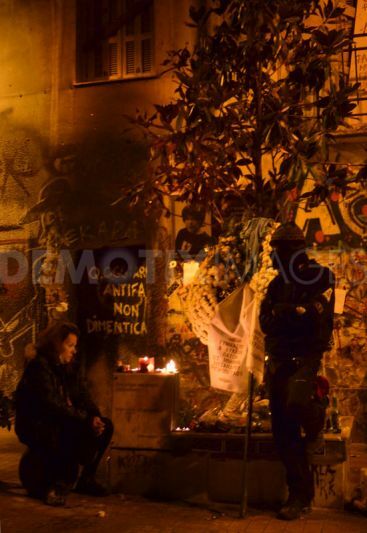 A few people stay overnight at the place where the 15-years-old student was killed in 2008, where a monument is built with his picture and flowers. (Exarcheia). 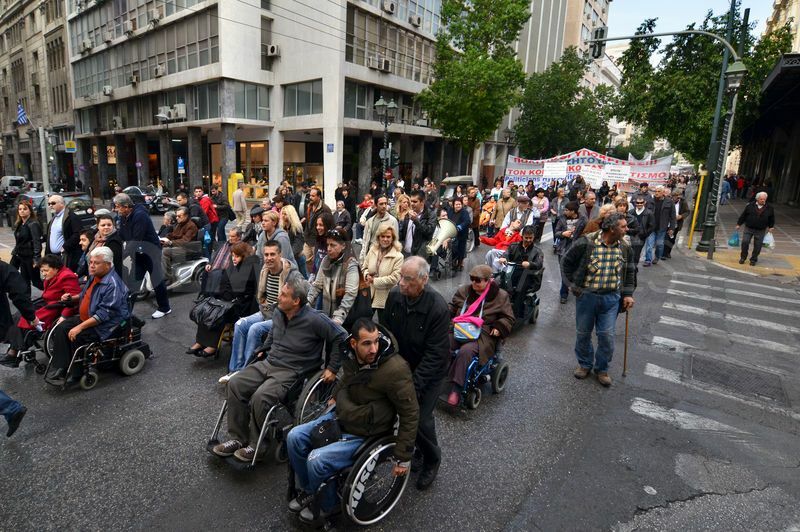 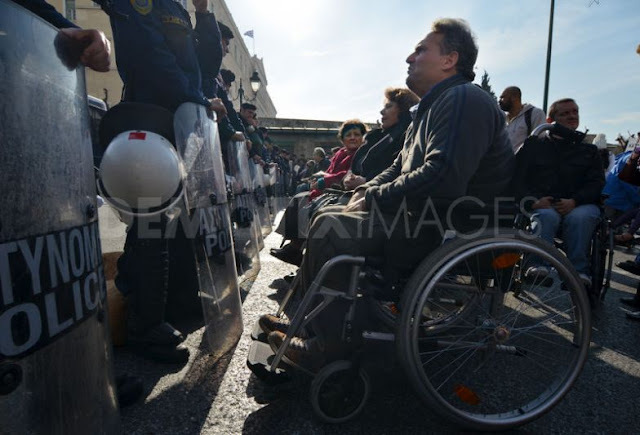 A student demonstration was held today in Athens, in commemoration of the assassination of Alexis Grigoropoulos, a 15 years old student , by a Police officer on December 6th, 2008. 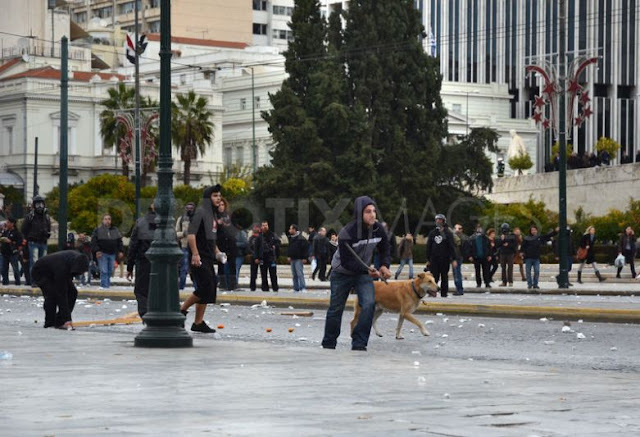 In Syntagma Square extensive clashes occurred between youths and Riot Police. 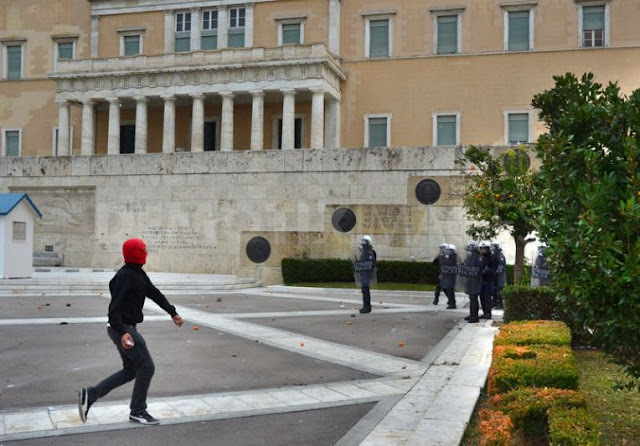 In front of the Parliament, youths threw oranges, rocks and Molotov cocktails against police. 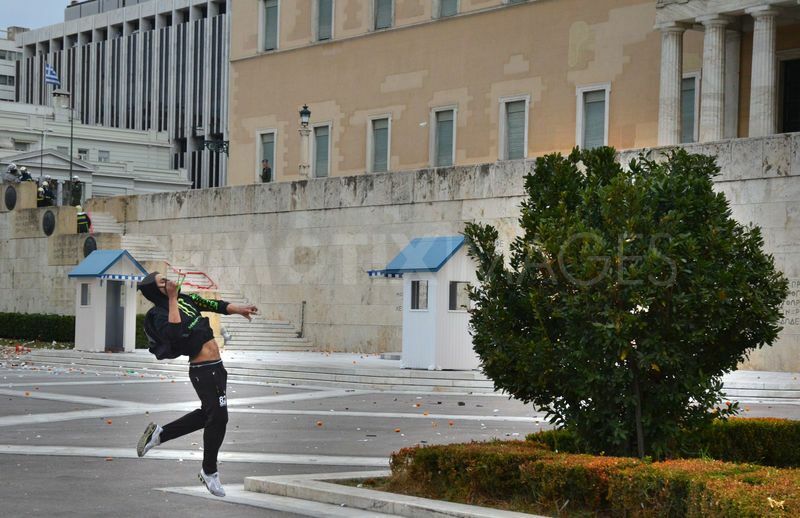 Youths smashed marbles in front of hotels and broke the windows of the elevator of the subway in Syntagma station. 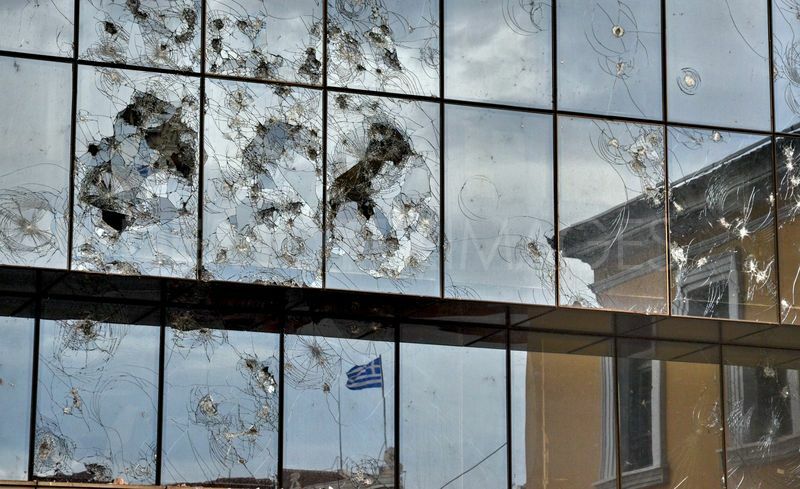 Damages continued in the downtown area. 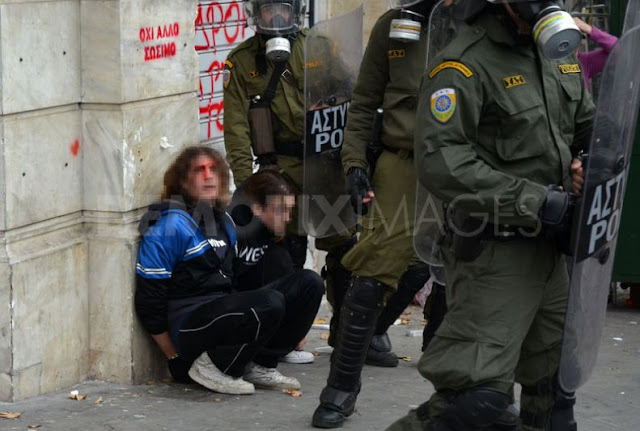 Police responded with chemical use and arrests. 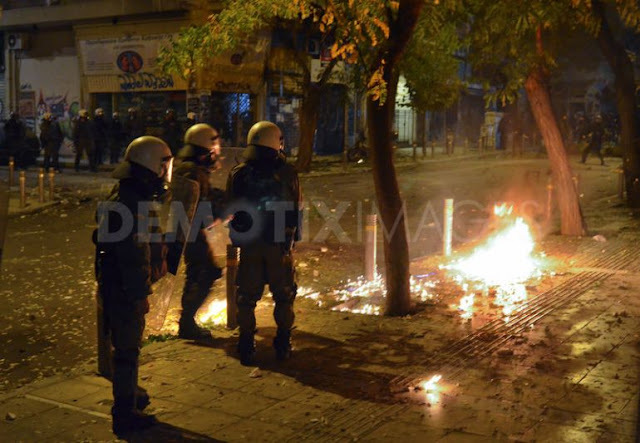 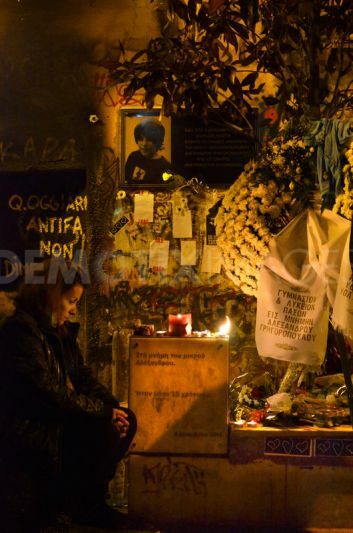 Update: Overnight riots between groups of young people and Riot Police continued in Exarcheia , after the protests, the district where the 15-years-old student was killed.